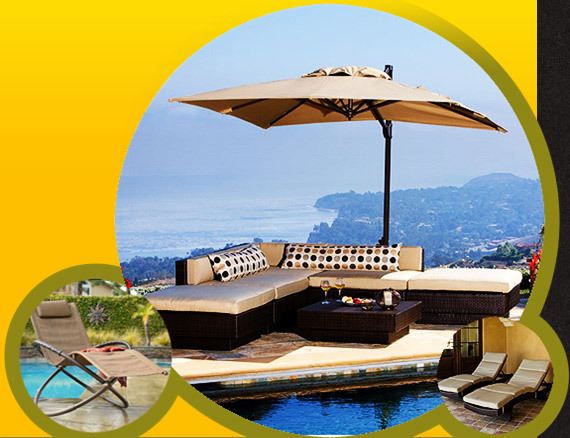 Your premier destination for luxury outdoor living at wholesale to the public prices. We are located in Orange County, CA. 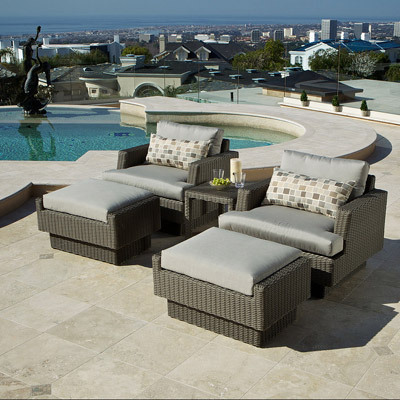 We specialize in a variety of woven outdoor furniture including chaise loungers chairs, deep seating, outdoor sectionals, dining, outdoor accessories and more . . . at prices up to 50% or more below the competition. 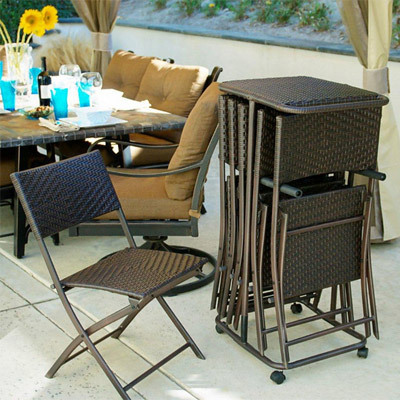 The Outdoor Furniture Outlet offers brand new merchandise, as well as the occasional out of box specials and samples at rock bottom prices. We are located in the heart of Orange County, off Via Fabricante in Mission Viejo. 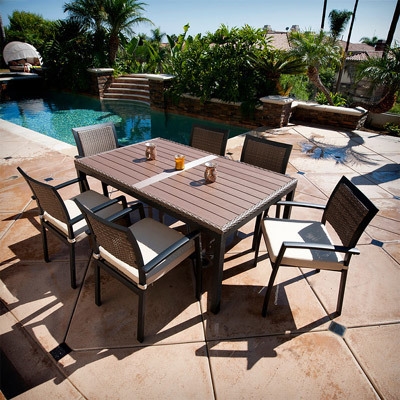 If you want to create the ultimate backyard oasis, don't buy anything until you come here. We are open: Tuesday through Friday from 11am to 7pm, Saturday from 11am to 5pm. 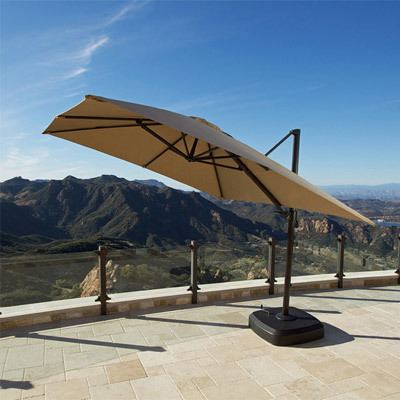 The Portofino Resort Umbrella - in stock now.